June 14th is Platypus Day! MASSIVE CREATIVE CONSTRUCTION GARDEN PARTY! Hang out with the newest group on the block as we build ourselves a giant den and then party in it. 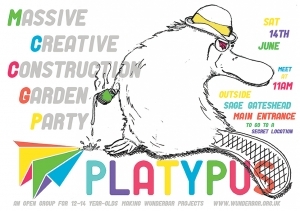 We are looking for more Platypuses so join us on June 14th to find out more. Platypuses should be between 12 and 14 years old and up for doing Wunderbar stuff. I can exclusively reveal that at the moment the project we are talking about is building a den out of a pile of materials in Newcastle and holding a party in it to celebrate when we finish! Platypus is deciding on and creating this project all the time from posters to recruiting brand new Platypuses! 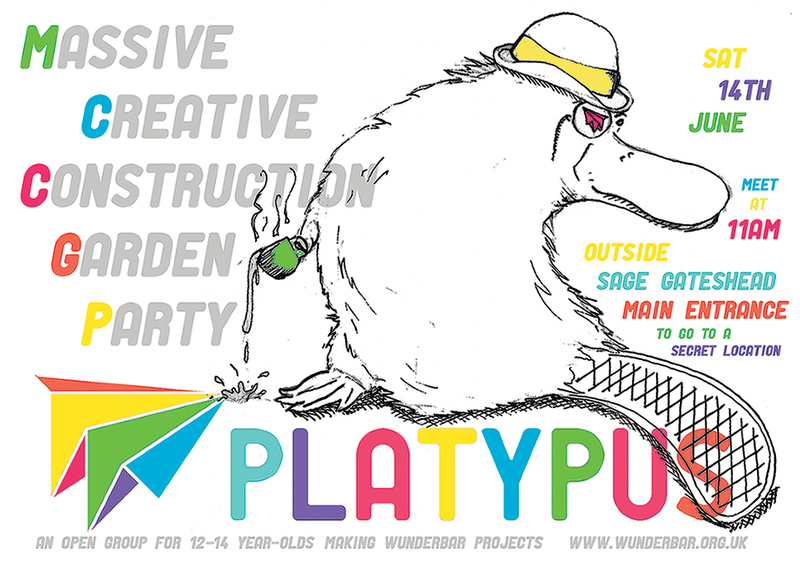 If you would like to become a Platypus please email info@wunderbar.org.uk and we look forward to seeing you!